Charlevoix and Round Lake. Lake Michigan to the left and Charlevoix Lake to the right. Charlevoix turned out to be an interesting town. 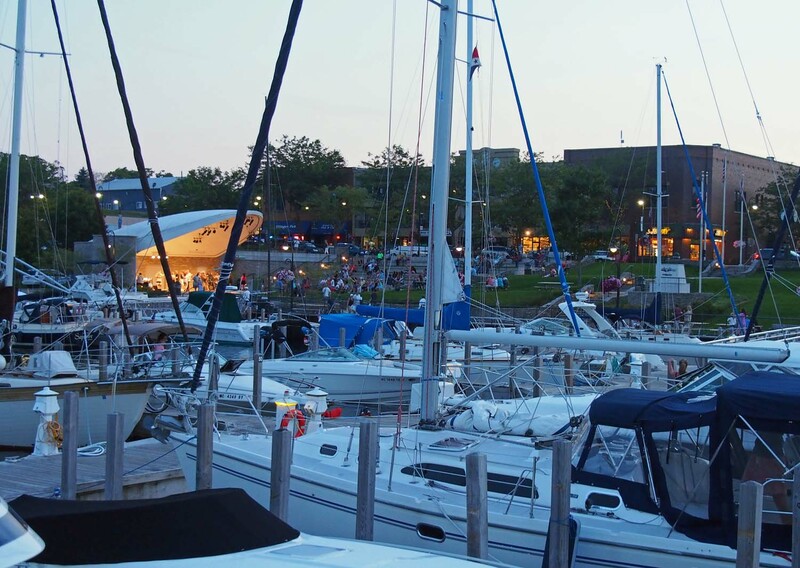 Michigan tries to have a marina every 30 miles along its west coast, so if weather and waves kick up on Lake Michigan a boat is never more than 15 miles from safety. Some of these harbors are made and some, like Charlevoix, are natural with just a canal inlet added. 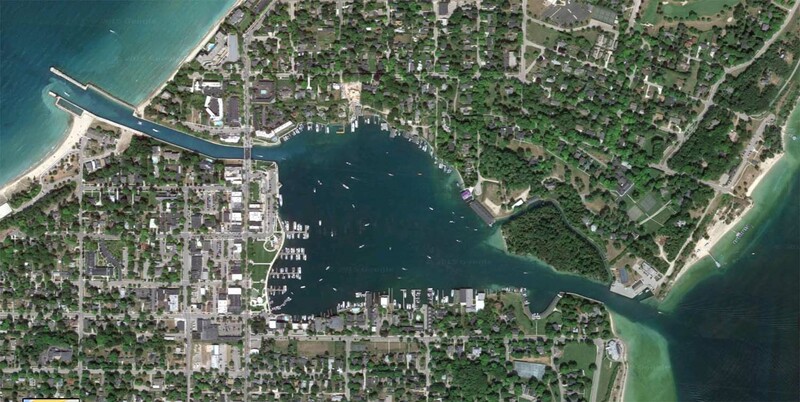 There are marinas out on the much larger Charlevoix Lake, but our marina is on the west shore of round lake. We’re on the third of four docks down. The downtown main street runs north – south immediately to the left of the marina and park. I wonder if some of the other towns and marinas will be this nice. Dancing on the stage to a local band at the park at the marina. Downtown is across the street.